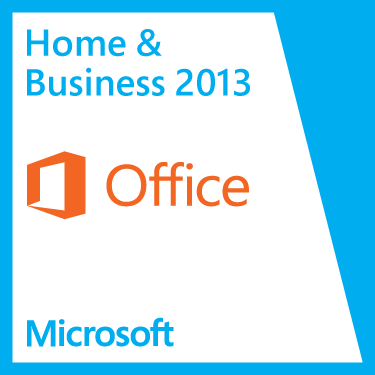 Features 5 Office 2013 applications: Word, Excel®, PowerPoint®, OneNote® and Outlook®. Improved user interface is optimized for a keyboard, pen or touch-screen display. Includes 7GB of online storage, allowing secure access to your documents from anywhere. OneNote 2013 lets you take notes and access them quickly and easily. OneNote operates like a digital notebook, holding your notes, pictures, web pages and media. Everything you capture is saved and searchable, accessible from anywhere via computer or smartphone. Plus, OneNote can even convert your handwriting into text. Outlook 2013 lets you manage your email, schedules, contacts and to-do items. Allows you to send emails and files from all of your email accounts. Improved search helps you quickly find a particular message, attachment, contact or appointment. Integrates with many social networking sites, including LinkedIn and Facebook. Calendar features let you schedule appointments and meetings, and share your calendar with others. And with the Weather Bar, you can even check the latest weather forecast.